thanks everyone. stem is also yamaguchi and the shifters came with the group. thought about going 8/9 speed but i like the black accents. 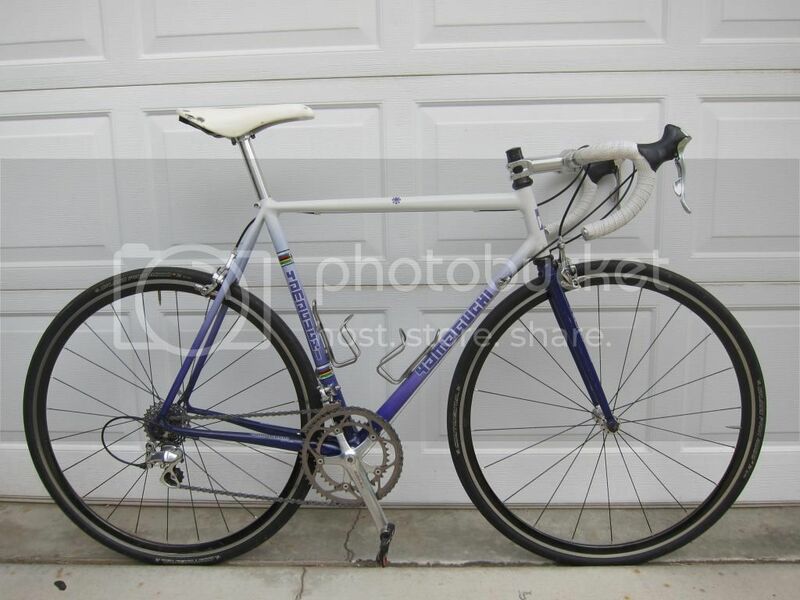 also i was originally going to go with ofmega mistral cranks but it just didnt work with 10 speed shifting. could have been stubborn and went ahead with it but better to get it right than deal with the problems later on. Love, love, love this bike. 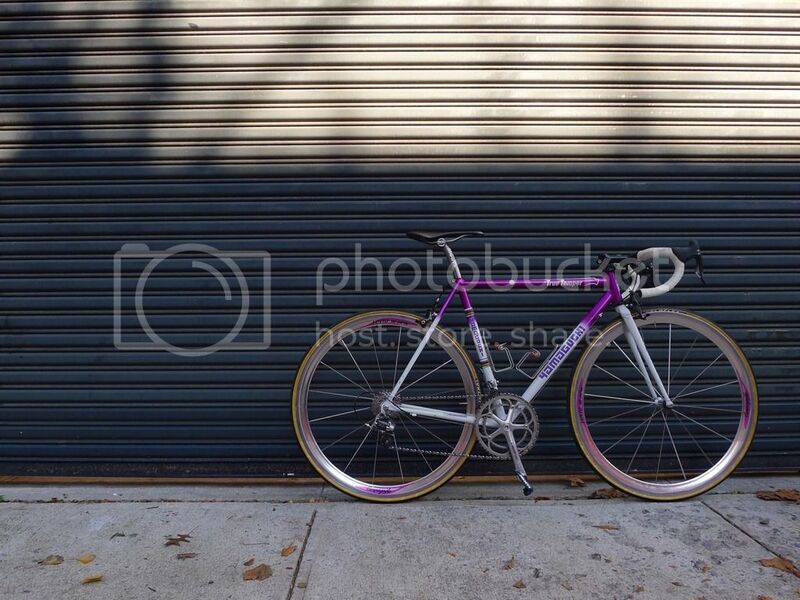 The frame and the wheel stickers are such a great match. Looking at this again, I'm curious about the geometry--would you mind sharing some of the key measurements? Looks to be smaller than my Yamaguchi, but I'd be interested to know how it measures. It's a 53cm tt with a 51cm st. 105mm ht, 410mm chainstay, 601mm dt, with a 45mm rake. Last edited by jensenn; 10-11-2014 at 08:12 PM. 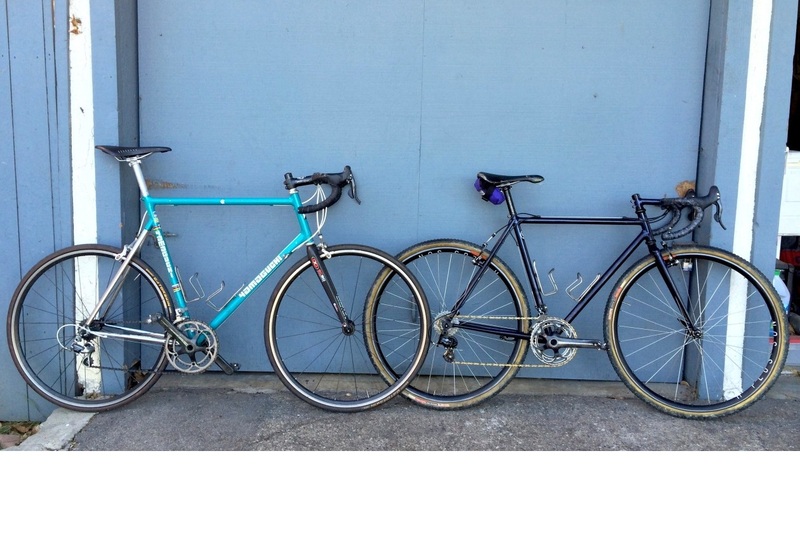 Interesting--mine is slightly larger in every dimension except the headtube, which is much larger (145mm), and the chainstay, which is identical. I'm going to measure again when I get home, but it will be interesting to compare. What is your seat height in that photo? I'm somewhere between 76 and 77 in the photo below. Little off topic but do you know the height of the regal from rails to top of the saddle ? Not the most accurate measure in the world, but a quick look gives me about 5.5cm - 6cm. Good enough ! Thanks !! I love Japanese built steel, purple to boot! Firefly is precision and OCD level construction. 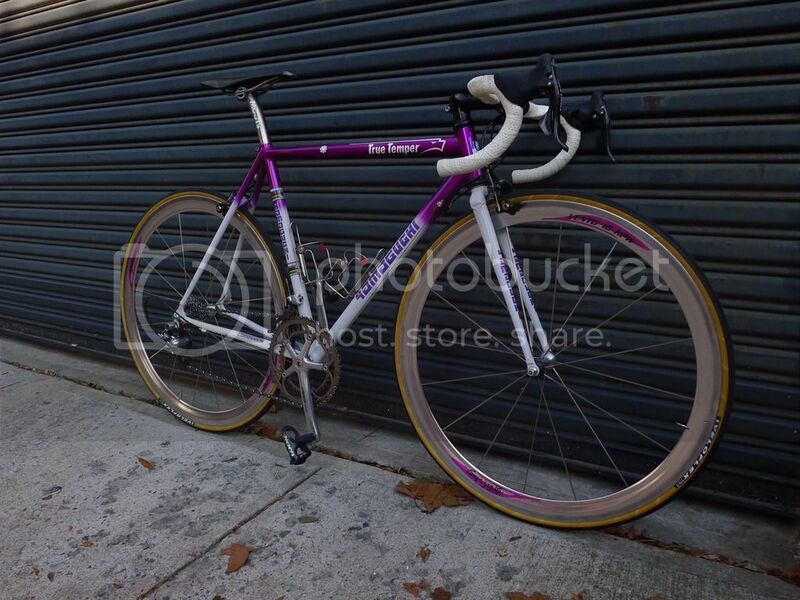 That said, a Firefly from their current production, let's say even the $11,000 "Bones" customs, cant match the Olympic steez of a well ridden and patina'd Yamaguchi. I would take a guchi over a firefly anyday but thats all preference. 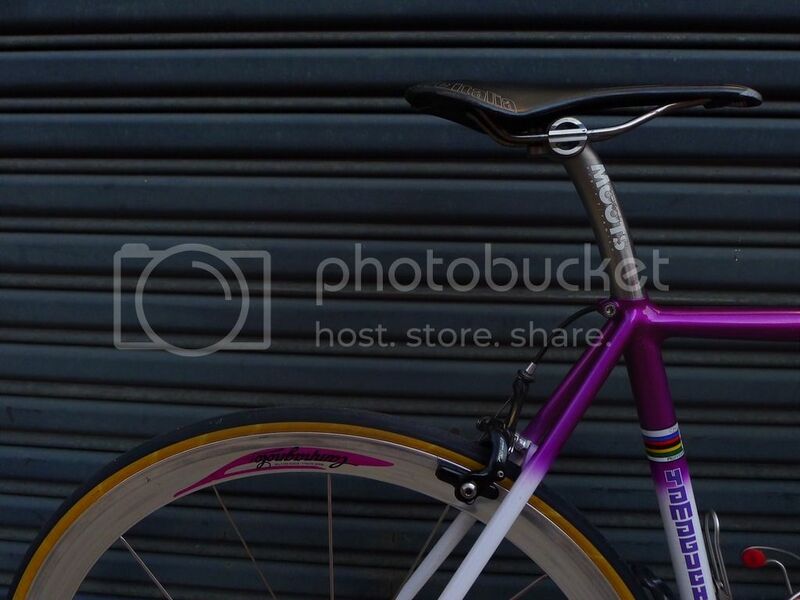 Man that color...and it looks like the Enve and Yamaguchi font are pretty similar too! just a couple changes. found these pictures on an old sd card i found last night. I wish I could get our bikes side-by-side. 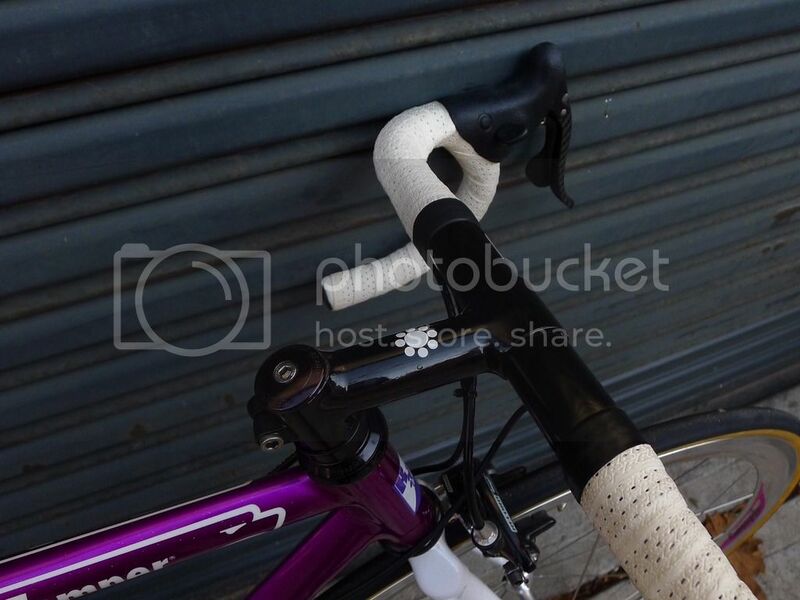 Seems to me that the top tube on mine is much more ovalized . . . I love the return of the original fork. As tempting as a fancy carbon fork can be, the original fork just feels right.